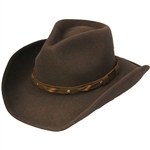 Our men's cowboy hat collection includes western & leather cowboy hat styles from Henschel Hat Company & Minnetonka. 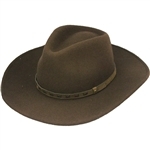 We offer a large selection of brown & black leather cowboy hats, wool cowboy hats and straws from the best brands in the industry. 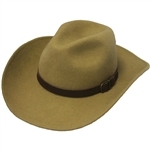 Many of our Henschel leather western hats are proudly made right here in the USA from the best quality materials and real leather. 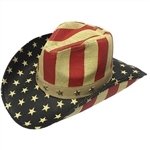 Don't forget to check out our stock of wool and straw cowboy hats for the summer season, including the new stars and stripes men's patriotic straw cowboy hat from Henschel.